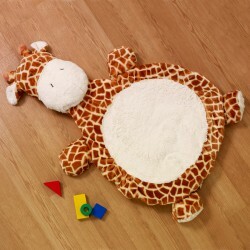 An adorable plush cushion for baby with Giraffe pattern. With its cute face and super soft tummy, it’s perfect for naptime and playtime. Made of polyester fiber and fill. Measures approximately 40″ long x 24″ wide.